India has a complicated and lengthy history with gaming. Archaeologists have found dice made from cubes of sandstone and terracotta that date back to the Indus Valley civilization in 3300 BC, and there is evidence that the Indus Valley people engaged in cockfighting and betting.2 Some of the ancient Indian mythologies also have a strong reference to gaming. Gambling is not an offence and it becomes one only when it takes place in a common gaming house or a public place. The mere fact that occasionally people used to play cards and perhaps for money does not necessarily make it a common gaming house. The presumption of gambling on Diwali is not so strong as the gambling at other times….A person simply allowing the use of his house to gamblers during Diwali festival without any idea of demanding rent etc, cannot be said to be keeping a common gaming house. Gambling on Diwali day should not be considered to be an offence. Prior to the promulgation of the Constitution of India, gambling in India was governed by the Public Gambling Act 1857. 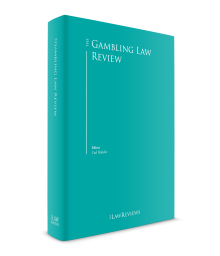 The Public Gambling Act 1857 was likely derived from the Gaming Act 1845 and the Betting Act 1853, enacted by the parliament of the United Kingdom. The British Acts of 1845 and 1853 sought to make wagering contracts unenforceable but repealed the Unlawful Games Act 1541, where games of skill such as bowling and tennis were deemed unlawful. This approach seems to be reflected in the Indian Public Gambling Act 1857, which prohibited public gambling and the keeping of the common gaming houses, but made an exception for games of skill. Prior to the promulgation of the Constitution, horse racing in India was licensed in the Bombay Presidency under the Bombay Race-Courses Licensing Law 1912. Similarly, in the Bengal Presidency, Act VIII of 1867 allowed for subscription, prizes and staking on horse races. Besides this, the British government in India used to run lotteries and used funds from the lotteries fund, to develop towns.5 It can thus be stated that while public gambling was prohibited during the British rule in India prior to the Independence of India, horse racing and lotteries were largely permitted. After the promulgation of the Constitution of India and it coming into effect on 26 January 1950, the issues pertaining to gaming were divided. Betting and gambling were listed under Entry 34 of the State List (i.e., List II of the Seventh Schedule). This means that only the state legislature has the power to make laws pertaining to betting and gambling. Lotteries are mentioned in Entry 40, List 1 of the Union List, meaning that parliament of India is the appropriate body to make laws pertaining to lotteries. In addition, the state legislature has the power under Entry 62 of the State List to make laws pertaining to taxation of betting and gambling. After the Constitution of India came into effect, most states adopted the principles of the Public Gambling Act 1857 with certain amendments, and each state has its own act on gambling. Lotteries are specifically excluded from the ambit of gambling through the states’ gambling acts. Until 1998 there was no law with respect to regulation of lotteries. Parliament enacted the Lotteries (Regulation) Act 1998 with the object of regulating lotteries, and to provide for matters connected therewith and incidental thereto. On 1 April 2010, the government of India issued the Lotteries (Regulation) Rules 2010, further regulating the lotteries in the country with regards to number of draws, minimum prize payout, etc. …‘lottery’ means a scheme, in whatever form and by whatever name called for distribution of prizes by lot or chance to those persons participating in the chances of a prize by purchasing tickets. (b) in any enclosure where such race is to be run, and sanction of the Provincial Government set apart from the purpose, but does not include a lottery. In the case of Dr KR Lakshmanan v. State of Tamil Nadu,6 the Supreme Court of India recognised that horse racing, football, chess, rummy, golf and baseball are games of skill. It further held that betting on horse racing was a game of skill as it involved judging the form of the horse and jockey, and the nature of the race, among other variables. The exception created in the gambling acts and the Supreme Court case of Dr KR Lakshmanan v. State of Tamil Nadu have crystallised the legal position of horse racing and wagering on horse racing. The 11 states that allow horse race betting are Andhra Pradesh, Assam, Delhi, Haryana, Karnataka, Maharashtra, Meghalaya, Punjab, Tamil Nadu, Uttar Pradesh and West Bengal. However, active horse racing currently takes place at the turf clubs in Bangalore, Chennai, Delhi, Hyderabad, Kolkata, Mumbai, Mysore, Pune and Ooty. ‘Prize competition’ means any competition (whether called a cross-word prize competition, a missing-word prize competition, a picture prize competition or by any other name) in which prizes are offered for the solution of any puzzle based upon the building up, arrangement, combination or permutation, of letters, words, or figures. The Prize Competition Act’s applicability extends to the following states: Andhra, Bombay, Madras, Orissa, Uttar Pradesh, Hyderabad, Madhya Bharat, Patiala and East Punjab States Union, and Saurashtra, all erstwhile Part C states, and Pondicherry, Dadar and Nagar Haveli, Goa, Daman and Diu. The status of sports betting, whether it is a game of skill or a game of chance, has not been clarified by the Supreme Court of India or a high court of a state. In the absence of a judgment on the same, a grey area exists pertaining to the legal status of sports betting in India. Sikkim has taken the initiative of legalising online sports betting within the state, with the promulgation of the Sikkim Online Gaming (Regulation) Act 2008. Under this Act, a licence for placing bets on sports games such as football, cricket, lawn tennis, chess, golf and horse racing can be issued. In Meghalaya, the sport of Teer (a form of archery) has been excluded from within the ambit of the state’s Gambling Act, and betting on it is licensed. Games of skill are identified as a separate category because various states in India (excluding Assam and Orissa) have gambling acts that exclude games of skill from the ambit of gambling. In the absence of a legislative definition of a game of skill, the Supreme Court in Dr KR Lakshmanan v. State of Tamil Nadu,7State of Andhra Pradesh v. K Satyanarayana8 and State of Bombay v. RMD Chamarbaugwala9 has laid down that a game of chance is where the element of chance predominates over the element of skill, whereas a game of skill is where the element of skill predominates over the element of chance. The card games of rummy and bridge, along with other sports like golf and chess, have been classified as games of skill. In R Shankar Creation Association v. State of Karnataka,10 the Karnataka High Court classified poker, darts, carom and chess, among others, as games of skill. Games of skill shall include all such games where there is preponderance of skill over chance, including where the skill relates to strategizing the manner of placing wagers or placing bets or where the skill lies in team selection or selection of virtual stocks based on analyses or where the skill relates to the manner in which the moves are made, whether through deployment of physical or mental skill and acumen. All games enumerated in Schedule A of the Nagaland Act will be classified as games of skill. Schedule A includes games such as chess, sudoku, quiz, bridge, poker, rummy, nap, virtual sports, virtual games like monopoly or racing, and virtual fantasy games. Games of chance for stakes fall within the ambit of the gambling acts of the states and are largely prohibited. Some states, for example Goa, have created exceptions within their gambling acts, allowing for authorised gaming. Thus licences are issued in the state of Goa for games of chance in casinos, which are operated on land as well as offshore. The state of Sikkim has also promulgated the Sikkim Casino Games Act 2004, which allows for casino operations within the state. Under the Lotteries (Regulation) Act 1998, it is the state governments that have the power to organise, conduct and promote lotteries, subject to the conditions prescribed. The lotteries department of each state, generally established under their revenue departments, are in charge of running lotteries. States have appointed agents that are private companies, to operate and promote lotteries on their behalf within the state and to other states. Lotteries in India11 are permitted in the following states: Maharashtra; Mizoram; Bodoland Territorial Council;12 Goa; Sikkim; Andhra Pradesh; Nagaland; Kerala (only paper lottery); Punjab; and West Bengal. f the Hyderabad Race Club. These turf and race clubs lay down the rules of racing, as well as control their enforcement. The licences to conduct horse races were issued to them by their respective state governments. The totalisator and the bookmakers at these race clubs, including for off-course betting, are licensed under the respective state’s act on entertainment and betting tax. In Delhi this is the Delhi Entertainments and Betting Tax Act 1996, and in Andhra Pradesh it is the Andhra Pradesh (Telangana Area) Horse Racing and Betting Tax Regulation 1358F. Prize competitions in India are offered under a licence issued by states under the Prize Competition Act 1955. A prize competition can be offered by a person who has procured the licence from the state, provided that the maximum prize that can be offered in such a competition does not exceed 1,000 rupees and there are not more than 2,000 entries. The legal status of sports betting (i.e., whether it is a game of skill or a game of chance) is not clear in India. The only state where sports betting can be offered is Sikkim. Licences have been issued to private operators to offer sports bets. In Meghalaya, bets can be placed on teer (a traditional game of the state) under a licence. These licences are issued under Section 14A of the Meghalaya Amusement and Betting Tax (Amendment) Act 1982. Games of skill are outside the ambit of states’ gambling acts. Whereas games of skill for stakes, like horse racing and teer, require a licence from state governments, other games of skill like rummy and bridge can be offered without a licence in most states. Nagaland has sought to regulate and license games of skill throughout India, through the Nagaland Act. The Nagaland Act contemplates the regulation and promotion of games of skil through the issuance of licences. A licence can be procured by a person, firm, company or limited liability company incorporated in India that is substantially held and controlled in India. A licensee is allowed to offer games of skill across India, in states where such games are not classified as games of chance and in states where an exception for games of skill exists in the state’s gambling act. Games of chance like casino games can be offered in Goa and Sikkim under a licence. Licences have been issued to private entities within these states. Foreign direct investment (FDI) in India is governed by the Foreign Exchange Management Act 1999 (FEMA) and the regulations made thereunder. FDI is subject to the Foreign Direct Investment Policy (FDI Policy), as amended. The FDI Policy was formed by the Department of Industrial Policy and Promotion (DIPP), Ministry of Commerce and Industry, and is implemented by the Reserve Bank of India (RBI). The DIPP has a practice of issuing a consolidated version of the FDI Policy encompassing the contents of all the press notes, press releases, circulars and clarifications issued by it from time to time. Under the FDI Policy, FDI remains prohibited in certain sectors, including lottery business, gambling and betting. Besides FDI, any form of foreign technology collaboration, such as licensing for franchise, trademark, brand name, management contract, etc, for lottery business, gambling and betting activities has also been prohibited under the prevailing FDI Policy. The rationale of prohibiting FDI and technological collaboration in the aforesaid sectors is to discourage foreign investments in lottery, gambling and betting businesses that have been judicially held to be mere ‘games of chance’, as opposed to ‘games of skill’. Thus, while FDI for games of chance and lotteries is prohibited, there is a lack of clarity on whether the same prohibition applies for games of skill, sports betting, horse racing, teer and prize competitions. Under FEMA, the Foreign Exchange Management (Current Account Transactions) Rules 2000 (the Current Account Rules) were framed to impose reasonable restrictions for current account transactions. The Current Account Rules provide that transactions included in Schedule I are prohibited. Remittance from lottery winnings, racing or riding, purchase of lottery tickets, football pools, sweepstakes, etc, are included within Schedule I, which essentially means that all foreign exchange gaming transactions are prohibited. Thus, an offshore gaming operator is unlikely to be able to offer his or her services from outside India within India. If the public has access to a foreign gaming website within India, then the courts would be able to exercise jurisdiction as per the principle in Banyan Tree Holding (P) Limited v. A Murali Krishna Reddy and Anr.14 This jurisdiction would be exercised on the basis that the site is an interactive website and seeks to target website users in India. The authorities could look at initiating action for violation of the applicable Indian laws (a website offering a game of chance would be in violation of a state’s gambling Act). Under Section 69A of the Information Technology Act 2000, the government has the power to direct its agency or an intermediary to block access to the infringing website. Intermediaries under the Information Technology (Intermediaries Guidelines) Rules 2011 and the registrar accredited with the Internet Corporation for Assigned Names and Numbers have blocked access to gaming websites coming from outside India. The Supreme Court of India in BR Enterprises v. State of UP15 has held that a lottery is a game of chance and is not a business or trade; rather, it is in the nature of res extra commercium. The Supreme Court also held, while interpreting Section 5 of the Lotteries Act 1998,16 that a state could not exclude other states from its own lottery. Either the state had to declare itself as a lottery-free zone or permit lotteries from other states. In a subsequent judgment, in All Kerala Online Lottery Dealers Associations v. State of Kerala,17 the court distinguished from the principle of the earlier judgment (the BR Enterprises case) and held that paper lotteries and online lotteries fell in different classes. Therefore a state would be permitted to ban online lotteries and allow paper lotteries or vice versa, without violating the provisions of Section 5 of the Lotteries Act 1998. Horse racing and betting on horse racing has been classified as a game of skill by the Supreme Court in Dr Lakshmanan v. State of Tamil Nadu,18 therefore it is considered outside the ambit of gambling. Horse racing and betting on horse racing is permitted in licensed premises. In News Television India Ltd v. Ashok Waghmare,19 the Bombay High court held that prize competitions do not include skill games, and even popular TV quiz shows like Kaun Banega Crorepati (a version of ‘Who Wants to be a Millionaire’) are excluded from its ambit. The status of betting on sports, and whether it is a game of skill, has not been addressed by the High Courts of the states or the Supreme Court. The issue of games of skill for stakes, and whether they fall within the ambit of a state’s gambling act, has not been adjudicated upon by the Supreme Court. In absence of an express judgment of the Supreme Court, contrary opinions exist among the High Courts of the states. In the case of D Krishna Kumar v. State of AP,20 the Andhra Pradesh High Court held that since games of skill fall outside the ambit of Andhra Pradesh’s Gaming Act, games of skill for profits and stakes would therefore also fall outside the Gaming Act. However, the Madras High Court in DG of Police, State of Tamil Nadu v. Mahalakshmi Cultural Association,21 held that while games of skill at physical premises fall outside the ambit of the state’s gambling act, games of skill for stakes and profit fall within its ambit and are therefore prohibited. An appeal against this decision was filed by the Mahalakshmi Cultural Association in the Supreme Court.22 This appeal was withdrawn by the appellants on the ground that the criminal case against them had been dismissed, thus the appeal had become infructuous. The government of Tamil Nadu, however, took a stand that the state government had not initiated any action against the online operators, as it had not taken a decision as to whether an online game of rummy fell foul of the law or not. Lotteries are regulated by the Directorate of Lotteries under the Finance Department of each state. Horse racing, and betting on horse racign, is regulated by the relevant turf authority or club. The entertainment tax inspector performs a limited role of inspecting the books for detecting tax evasion, if any. For prize competitions, states have formulated rules where the manner of procuring the licence has been laid down. Applications are to be made to the authorities designated by the states. The licensing and regulator under the Sikkim Online Gaming Act 2008 is the officer designated by the Lotteries Department (government of Sikkim). The regulator for casinos in Sikkim is the authorised officer, appointed by the Department of Tourism (government of Sikkim). However, in Goa, a gaming commissioner is to be appointed under Section 13C of the Goa Public Gambling (Amendment) Act 2012. The regulator for the online games of skill under the Nagaland Act is the Finance Commissioner or any other authority designated and empowered on his or her behalf. Lotteries are offered in a paper format as well as online, across states where lotteries are permitted. Paper lotteries are generally offered through lottery shops and stalls. Kerala has made a distinction between paper lotteries and online lotteries, prohibiting online lotteries within its territory. Horse racing and betting on horse racing is permitted only in licensed premises. Betting on horse racing takes place at the race clubs, for the races held at that particular track, as well as races broadcast from other tracks. Certain states like Maharashtra, Tamil Nadu and Andhra Pradesh have also allowed off-course betting shops. The Prize Competition Act 1955 does not make a distinction between paper-based and online prize competitions. These competitions are generally conducted through dailies and posts. Online sports betting offered through parlours on an intranet network is permitted in Sikkim. The principle law that governs gaming is the Public Gambling Act 1867. This Act does not make a distinction between premises-based and online gaming. The states that have permitted casinos allow the offering of casino games only at the premises, whether they are on land or on ships or cruises. Online games of skill can be offered across India under the Nagaland Act. f there must be an advance payment of sale proceeds. Licences for sports betting are issued in Sikkim. An application for a licence needs to be made to the government of Sikkim. The designated authority, as per the notification of the Sikkim government dated 11 June 2009, is the Secretary to the government of Sikkim (Finance, Revenue and Expenditure Department). The application needs to be made using Form 1 accompanied by a bank draft of 500 rupees in favour of the director, Sikkim State Lotteries. After examining the application and making due enquiries (no time period is provided), the government can grant a provisional licence on the payment of fee of 100,000 rupees in Form 2. The provisional licence is granted to enable the licensee to set up the infrastructure and comply with other licensing requirements. Subject to compliance with the licensing terms, a regular licence in Form 2A is issued for a period of five years on the payment of a fee of 10 million rupees. Licences for teer bookmakers can be issued under Section 14(3)A of the Meghalaya Amusement and Betting Tax Act. Further, under Section 14A(1)m, terms and conditions for a licence are to be prescribed. Details pertaining to the licensing conditions and the process to be followed for licensing, are not readily available. Under the prize competition rules of states,24 the application for running a prize competition needs to be made in Form A and should be submitted personally or sent by registered post to the licensing authority. The licence is effective throughout the state. The fee for granting a licence is 25 rupees where an entry fee is charged, and 10 rupees where no such fee is charged. The fee for renewal is half of the initial fee. d the technology and support platforms are within India. Under the Nagaland Act, rules have been formulated to govern the licensing process. Under Rule 4(3) an application needs to be made accompanied by documents supporting the credentials of the promoters, audited financials, note on software technology platform, business plan and financial projections. A non-refundable application fee of 50,000 rupees through a demand draft also needs to be deposited. The details are then forwarded to the empanelled firm, which then makes an enquiry and issues a certification or recommendations for compliance. If a certification is issued by the empanelled firm, the licensing authority is bound to issue a licence within 14 days. In the event that recommendations are received from the empanelled firm, the recommendations shall be referred to an ad hoc committee or expert committee formed under the Nagaland Act for its recommendations, which are not binding on the licensing authority. Under the Nagaland Act licences can be issued for a game or bouquet of games (three or more games). An annual licence fee of 1 million rupees per game per annum or 2.5 million rupees for a bouquet of games per annum for the first three years is payable. For the subsequent two years, 2 million rupees per game per annum or 5 million rupees for a bouquet of games per annum is payable. In addition, the licensee is required to pay an amount of 0.5 per cent of the gross revenue generated as royalty to the state government. d over 500m2 – 70 million rupees. (hiked by 5 million rupees in the Goa Budget 2017.
d over 400 passengers – 112 million rupees (hiked by 10 million rupees in the Goa Budget 2017). Under the Sikkim Casino Games (Control and Tax) Rules 2007, an application for a licence needs to be made through Form A. Provisional licences under these Rules are granted for a period of five years and can be renewed. A licence fee of 50 million rupees is payable for a casino licence. Lottery tickets can be subject to a lottery tax or charge. The states of Kerala, Punjab, West Bengal and Maharashtra have imposed lottery taxes. Maharashtra imposes a tax of 50,000 rupees per draw for online lottery companies. Provisions under the Maharashtra Tax on Lotteries Act 2006 are applied while assessing lottery tax, which is to be paid in advance every Monday before playing.26 In addition, as per Section 115BB of the Income Tax Act, winnings on lotteries are taxed at 30 per cent. Different states have different rates of taxes on horse racing. In Delhi and Andhra Pradesh, an entertainment tax of 15 per cent is levied on all money paid to the totalisator and the bookmakers. In addition, all winnings of a player are taxed under Section 194BB of the Income Tax Act at 30 per cent. Under Section 194B of the Income Tax Act, all winnings from prize competitions, such as crossword puzzles, are taxed at 30 per cent. Under Section 194B of the Income Tax Act, all winnings from card games and other games of any sort, betting and gambling are taxed at 30 per cent. The regulatory framework with regard to TV shows and advertisements, and possible electronic dissemination of material projecting gaming, is envisaged in the Code for Self-Regulation in Advertising (the Code), the Cable Television Network Rules 1994 and the Consumer Protection Act 1986. Under the Cable Television Network Rules 1994, advertisement of gambling is prohibited, but the advertisement of games of skills, such as horse racing, rummy and bridge, is not prohibited. Under the Consumer Protection Act 1986, unfair trade practices are prohibited. This would include the conduct of any contest, lottery, game of chance or skill, for the purpose of promoting, directly or indirectly, the sale, use or supply of any product or any business interest. Owing to the Indian Premier League’s betting and fixing scandal, the Supreme Court formed a Committee under the aegis of Justice Mukul Mudgal to determine the facts. This Committee recommended to the Supreme Court that betting in sports should be legalised and regulated. The Committee formed under the aegis of the former Chief Justice of India, Justice RM Lodha, confirmed this recommendation. The Supreme Court in its judgment dated 18 June 2016 in BCCI v. Cricket Association of Bihar29 has made a reference to the Law Commission of India to consider legalisation of sports betting. The Law Commission in this regard is seeking opinions from stakeholders and has also engaged with the UK India Business Council to understand the legislative framework and governance by the UK Gambling Commission and the Isle of Man Gambling Commission. In the lottery segment, the Supreme Court created a distinction between online lotteries and paper lotteries in the All Kerala Online Lottery Dealers Association case, and thus prohibited online lotteries from other states, in states where online lotteries were not offered by the state itself. In order to give the gaming sector in India a voice, the All India Gaming Federation (AIGF) was launched in August 2016 with headquarters in Mumbai. The AIGF has undertaken discussions pertaining to the challenges that the gaming industry in India will face in the future. There has been much debate on the regulation of sports betting in India. With the support of the Supreme Court, the Law Commission of India is likely to submit its report on legalisation of sports betting in July 2017. Once submitted, the report is likely to cause debates on its content. The Nagaland Games of Skill Act 2016 has been promulgated and seeks to license games of skill from Nagaland for the entire country. It is not yet clear whether this Act survives the constitutional test of a state’s power to legislate on this aspect. The Sikkim online gaming licences have been issued and the coming year will be key in determining its commercial success. A 1976 notification issued by the state of Kerala exempted games such as rummy, darts, cup and coin contests from the ambit of gambling. Based on the notification, the government has been advised to include games of poker and bridge in the list of exempted games, it remains to be seen whether this is accepted. There is an ongoing litigation in the High Court of Gujarat on the classification of poker with stakes as a game of skill. 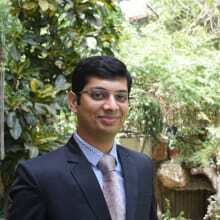 1 Vidushpat Singhania is a partner at Krida Legal. 2 ‘Primary History – Indus Valley: Games and Toys’, accessed on 3 April 2016 at www.bbc.co.uk/schools/primaryhistory/indus_valley/games_and_toys/. 3 Ravindran N, ‘Godly Games’, India Today, 22 October 2011. 4 Nimmagadda Raghavalu v. Unknown, AIR 1953 Mad 243. 5 Aggarwal M, ‘Administration of East India Company and Crown during the British Rule in India’; accessed on 5 April 2016 at www.historydiscussion.net/british-india/administration-of-the-east-india-company-and-crown-during-the-british-rule-in-india/712. 6 Dr KR Lakshmanan v. State of Tamil Nadu (1996) 2 SCC 226. 7 See footnote 6, supra. 8 State of Andhra Pradesh v. K Satyanarayana (1968) 2 SCR 387, AIR 1968 SC 825. 9 State of Bombay v. RMD Chamarbaugwala AIR 1957 SC 699. 10 R Shankar Creation Association v. State of Karnataka, WP No. 16622/2012, decision dated 4 June 2012. 11 As of 30 November 2015. 12 The Bodoland Territorial Council is not a state as per the Indian constitution. This is an area in the north-eastern region of India, which was created recently by carving out areas from eight districts of Assam, namely, Kokrajhar, Dhubri, Bongaigaon, Barpeta, Nalbari, Kamrup, Darang and Sonitpur within the state of Assam. It is an autonomous administrative unit constituted under the Sixth Schedule of the Constitution of India covering an area of 8795km2 (provisional). 14 2011 (5) RAJ 255(Del); CS (OS) No.894/2008 decided on 23 November 2009. 15 BR Enterprises v. State of UP (1999) 9 SCC 700. 17 Civil Appeal Nos. 3518–3520. 18 See footnote 6, supra. 19 News Television India Ltd v. Ashok Waghmare (2006) 2 MhLj 431. 20 D Krishna Kumar v. State of AP (2002) 5 ALT 806, 2003 Cr LJ 143. 21 DG of Police, State of Tamil Nadu v. Mahalakshmi Cultural Association, WA No. 2287 of 2011, decided on 22 March 2012. 22 SLP Civil No. 15371/2012. 23 Malik M, ‘Horse race turn troublesome in Punjab’, The Pioneer 10 July 2015. 24 Bombay Prize Competitions Rules 1959 and the West Bengal Prize Competitions Rules 1958. 25 Government of Goa, ‘Budget Speech’, accessed 10 April 2017 at www.goa.gov.in/wp-content/uploads/2017/03/Budget-Speech-2017.pdf. 26 Jore D, ‘Maharashtra Government seeks to recover Rs 933 crores from untraceable lottery companies’; accessed 24 May 2016 at www.mid-day.com/articles/maharashtra-government-seeks-to-recover-rs-933-cr-from-untraceable-lottery-companies/16578161. 27 ‘Entertainment Tax rate structure’, accessed 6 April 2016 at http://mumbaisuburban.gov.in/html/entertainment.htm. 28 Example (f), Chapter 1 of the Code. 29 Civil (Appeal 4235 of 2014 with Civil Appeal 4236 of 2014). 31 ‘States agree to rollout GST by July:Shaktikanta Das’, The Economic Times, 28 February 2017. 32 Aanchal Magazine, ‘Fitment in GST slabs: Announcement of details could go beyond May, says Hasmukh Adhia’, 2 April 2017, Indian Express. 33 ‘Offshore casino, ship to Chennai among Narayanasamy proposals’, 7 July 2016, Deccan Chronicle. 34 ‘Offshore casino in Vizag, AP may have first mover advantage’, 11 September 2015, The Hindu.